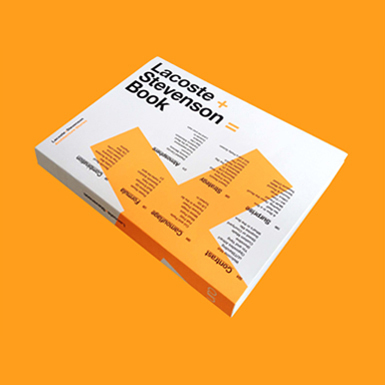 This book is a compilation of projects designed over two decades. These 61 projects have been selected regardless of their built or unbuilt status, complexity, budget or programme type. They range from furniture design to urban master planning; from art installations to large buildings. They are not presented or explained in detail; the intention is to highlight the concepts that have guided the design. These concepts have been classified in families: contrast, camouflage, formula, combination, surprise, strategy and atmosphere bringing to light a constant approach to design that is independent of size or type. The emphasis of this book is on process rather than the quality of execution or the resolution of detail resulting from the concept. Each project is described with an evocative image, a diagram and various drawings, models and photographs; these documents give an insight into the creative approach of the office. Please come to the launch Thursday 14 March 2013 from 6 to 8pm at the Bartley Clubroom, Reg Bartley Oval Grandstand, Waratah Crescent, Rushcutters Bay Park. Launch: Graham Jahn, Director City Planning, Development & Transport, City of Sydney. Guest Speaker: Craig Allchin, Six Degrees Urban.